John Smith was born in Melmerby, a small village in the Eden Valley near the Pennines in what is now Cumbria – then called Cumberland. 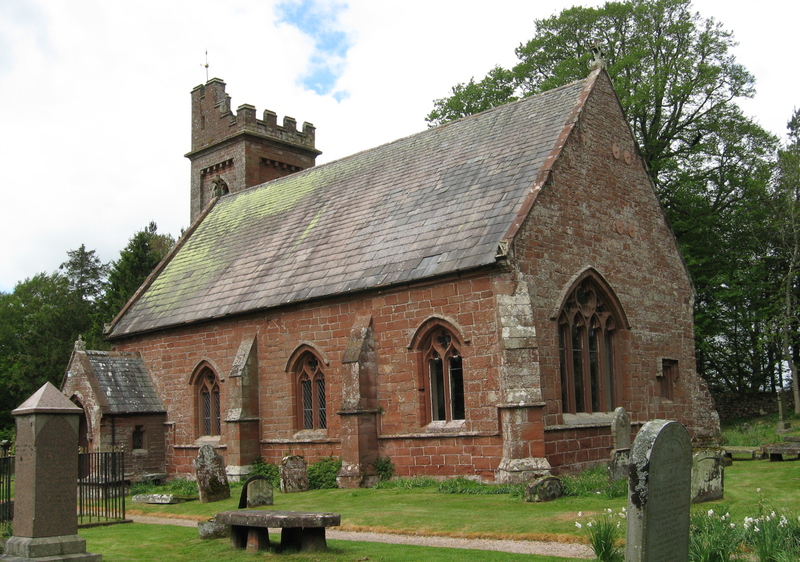 John was baptised in the Melmerby Parish Church of St John the Baptist on 4 October 1741. He lived in Melmerby until March 1821 when he died aged 79. He was buried in the churchyard of Melmerby Parish Church. John Smith Jr was the father of Lancelot Smith of Gamblesby so he was my great-great-great-grandfather. John was the oldest surviving son of John Smith Sr and his wife Mary (her maiden surname is unknown). John’s life began during the reign of George II of England and ended during the early years of the reign of George IV. He would have been an adult in a period of considerable turbulence in Europe and America, including the American War of Independence, the French Revolution, the War of 1812 and the Napoleonic Wars – all major events that he would have heard about and would probably have been affected by them in economic terms. In England, there was the Luddite movement during the Napoleonic Wars that created great social and political unrest in the country. Even in the fells of Cumberland, people would not have been immune to these upheavals. John Smith is the first Smith in the Melmerby Parish records to be described by his occupation; in 1787 the parish rector started to add this information. John is described as a “yeoman”, meaning a farmer with freehold property. This is a very significant confirmation that the Smiths were well-established farmers in Melmerby by this date. John married Hannah Huddart on 15 May 1777, in Addingham Parish. Hannah was from Gamblesby. They had nine children; all the children were baptized in Melmerby Parish Church between 1778 and 1795. Their eldest son John Smith died in Jamaica in 1802, at the age of 24 (although the gravestone at the church in Melmerby says he was 21). I do not know why he was in Jamaica. The youngest son Isaac Smith died at the age of 12 in 1807. Apart from those two sons, the other seven children survived to adulthood. The wording of John Smith’s will, which was probated in 1821, is given in the Transcriptions section of this blog. William Smith, John’s oldest surviving son and heir, inherited the land and other property of both his parents. He remained in Melmerby while two of his younger brothers moved to Gamblesby. The story of this William Smith and his descendants will be the subject of a separate posting at a later date. Lancelot Smith of Gamblesby already has a page devoted to his story and also a page about his children. I do not know much about the other children in this family. From John Smith’s will, we know the married names of the three Smith daughters. Searching in the Melmerby Parish Church records, I have found that Mary Smith married Thomas Harrison and they had four children. Hannah Smith married John Jameson but I do not know if they had any children; I do know Hannah was widowed before 1829. Agnes Smith married Joseph Longrigg who was from Rochdale in Lancashire. Again I don’t know if she had children. I had been told by a family member that Thomas Smith emigrated to America but that may not be correct. In addition to receiving money from the wills of both his father and his mother, Thomas was appointed co-executor and trustee of his uncle Thomas Smith’s will in 1827. It seems unlikely to me that he did this from America. I think it is more likely that he was farming in Gamblesby, where his brother Lancelot was living and where his uncle Thomas Smith was a yeoman. There was a Thomas Smith of Gamblesby who married Margaret Davidson and had a daughter Hannah baptized on 25 October 1811 in the Parish of Addingham. The second-youngest son Joseph Smith died at the age of 30 in 1822, about a year after his father. I do not have any information that he ever married. The fact that he was given double the amount of money his brothers got from their father’s will suggests that Joseph was not in good health. When John Smith died in 1821, the story of the Smiths diverges between the family of William Smith, his heir to the Melmerby property, and the family of Lancelot Smith of Gamblesby, my great-great-grandfather.